If you are looking for my Sparkle Creations Sneak Peek, please click here or scroll down.. Thanks! 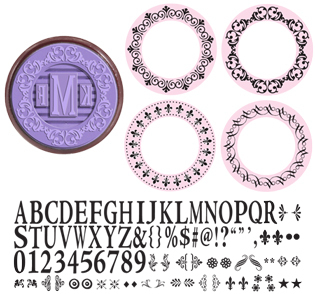 I started by stamping a circular fleur de lis border from JB-08340 Deluxe Monogram Kit. I clear embossed this for a subtle look. 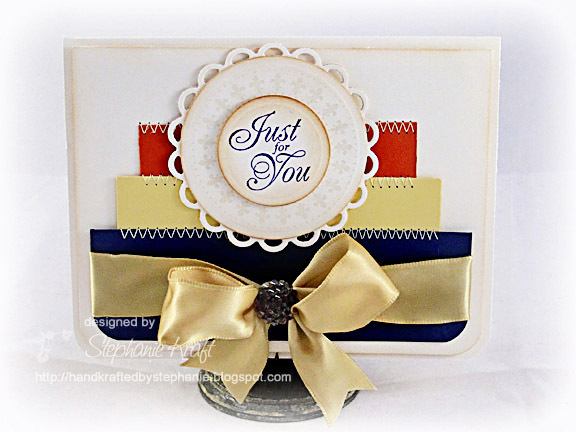 The sentiment, Just For You, is from JB-09225 Birthday Centers Round which I stamped with Tsukineko Memento Paris Dusk. Each circular layer was cut using Spellinders Standard Circle Nestabilities - Large. The largest circle was cut using Spellbinders Lacey Circle Nestabilities. 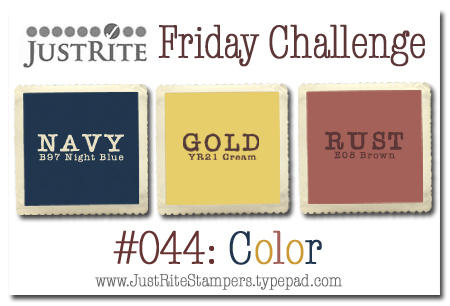 I added this on top of a trio of the 3 inspiration colors which I stitched together. Finally I added some ribbon, tied a bow and added a Webster's Pages sparkler to the center. 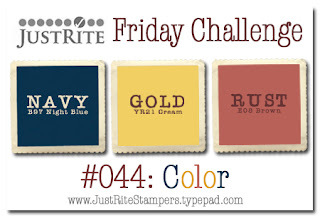 Be sure to visit the JustRite Inspiration blog for more details on this week's challenge and to see more inspiration from some of my fellow design team members. JustRite Stampers: JB-08340 Deluxe Monogram Kit, JB-09225 Birthday Centers Round, JB-09500 Clear Stamper 1-5/8"
Accessories: Webster's Pages Sparkler button, Clear embossing powder, Gold satin ribbon, Foam tape, Sewing machine and ivory thread. What a great idea...love your card, it´s so elegant! Wow!! This is just so vibrant!! but elegant too...what an amazing card! Love what you've done with these colors Steph!! And your sketch and sewing are fabulous!! Beautiful card! I totally LOVE this card! Striking colors and fabulous design! Very fun card. looks like a big birthday cake!